It makes total sense that J.K Rowling would choose to release more Harry Potter tales over the Christmas season, considering her original stories are by far the most festive of this era’s popular young-adult fantasy series. (You don’t see Katniss popping on a Santa hat, do you?) 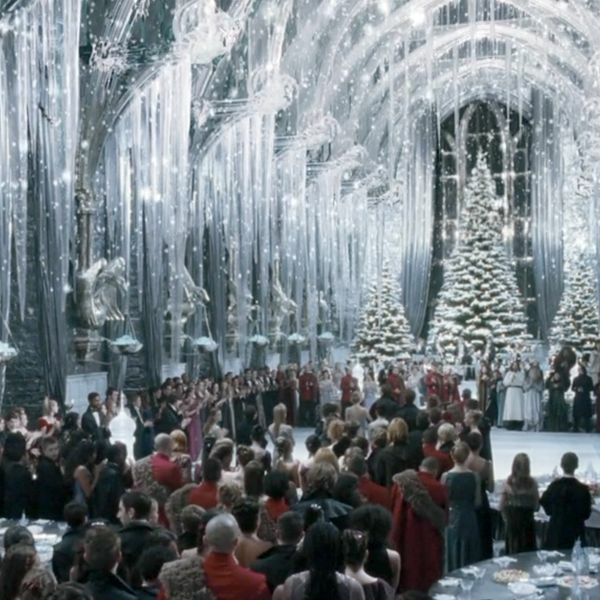 The wizarding world is not only obsessed with the festive merriment of the holidays — possibly to make up for the fact that poor, orphaned Harry had so many disappointing Christmases before arriving at Hogwarts — but that time of year is also often the setting for major plot events. It’s Christmas Day when Harry sees his parents in the Mirror of Erised in the Sorcerer’s Stone, when Hermione successfully brews Polyjuice Potion in Chamber of Secrets, when Harry overhears Professor Snape and Draco Malfoy’s chat about Voldemort outside Professor Slughorn’s holiday party in Half-Blood Prince, and when everyone suddenly discovered teenage angst at the Yule Ball in Goblet of Fire. Christmas was also Jo Rowling’s time to spread thick the famously evocative feast imagery — “a hundred fat, roast turkeys, mountains of roast and boiled potatoes, platters of fat chipolatas, tureens of buttered peas …” — and, in the first three books, at least, give Dumbledore a generous helping of adorable chipolata-themed banter. And, of course, with the holiday season also comes the cavalcade of hand-knitted Weasley sweaters. Despite possessing a mountain of gold in Gringotts, Harry himself does not give half as many presents as he receives, but hey, there’s still a cornucopia of gifts to go around — some, of course, not as welcome as others. Behold, a definitive scorecard of every gift ever exchanged in the Harry Potter book series (and, presumably, off-camera in the films), from kisses to dungbombs to one-of-a-kind family heirlooms. Quiz: Can You Tell These YA Stories Apart?